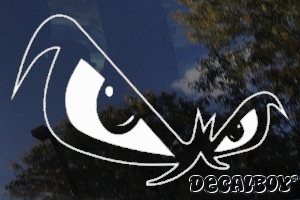 All decals are made of high quality weather-resistant vinyl, solid color of your choice and made to go on your car, truck, SUV, motorcycle, minivan, RV, boat, kayak, snowmobile, scooter, skateboard, home or office windows, helmets, plastic, wood, or any other smooth, non-porous, wax free surface. Easy to Apply! Easy Installation Instructions Included!